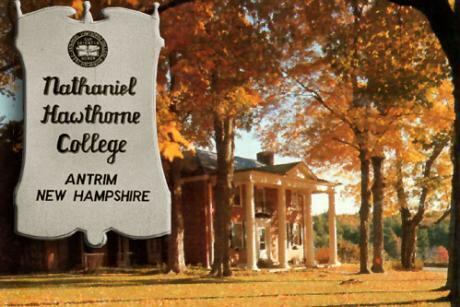 This is the website for Nathaniel Hawthorne College. It was located in North Branch, Antrim, New Hampshire from 1962 until 1988. This website is limited to available information, and does not represent the college in an official nature. The alumni lists were created from information from yearbooks, and not official college documentation. These lists are not updated or maintained.